Tucked away in page 8 of today's Laredo Times are photos of a fading HEB store in downtown Laredo. 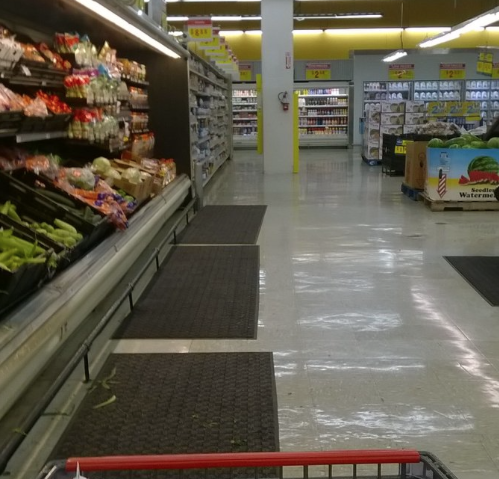 Customers are scarce and the shelves look depleted. In less than a week, this oasis of foodstuffs will be a mere memory. For about the last two years I had been shopping at this HEB on a weekly basis. Despite its limitations, the store provided a different, more comfortable pace for me. It's where I could escape the chaos of the other locations. It didn't have all the products I needed, but the store made up for that in different ways. I could always count on a parking spot on San Agustin Ave; that was basically like parking right in front of the store. For a good stretch, they had 80s music playing on the overhead system; that feature always made shopping fun for this GenXer. 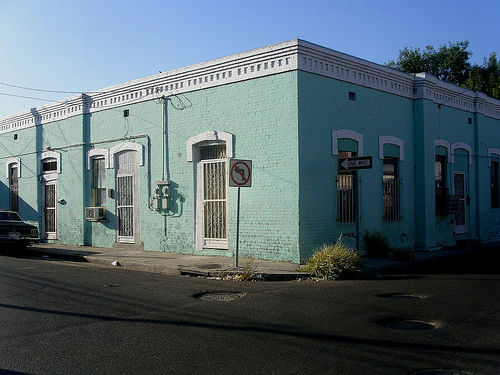 And in some way, the store connected me to a bygone era, a time when downtown Laredo still had a lure for shoppers. The downtown HEB satisfied the longing I had for the days when I would shop with my mother or grandmother in el centro. HEB hardly defines downtown today, but it's a recognizable holdover from our youth. To witness its demise is to witness our past wither away. In becoming my mother's quasi-guardian, I took to the downtown HEB to get the things she needed. Over the years, the errands I ran for her weighed on me; they became more tedious. The downtown HEB, however, gave me a fresh take on the tasks at hand; and perhaps, in some subconscious way, it offered me a link to a simpler, less demanding time. My visits to HEB downtown seemed less laborious -- Parking was less of a hassle, and the ambiance was much more soothing. It was somewhat therapeutic shopping there. The emotional and psychological burden I carried was lifted by the pleasant experiences I had at that store. I'm sure it's hard for you to understand that, but maybe it's because I thought of the facility as a place where I could escape to. I didn't know a lot of family members and friends who shopped there. When I told them that I would buy groceries at this location, they were dumbstruck, bewildered by the fact that someone could actually shop at this spot. It became my store, and mine alone. It was a sort of refuge from everyone and everything around me. It helped me disconnect for a while, even if all the items I was purchasing were for my ailing mother. In handling mom's finances, it became apparent that keeping our own budgets separate was important; It helped to keep things in order. So when I went to shop at the downtown HEB, I knew I was there for her groceries. It became part of my weekly routine. My mother passed away two months ago and a lot of things that were routine have gone by the wayside. Now I'm adjusting to having more time for myself. I have to adjust to a new routine. It's somewhat peculiar that, on the same year that my mother passes, the downtown HEB closes. I can't help but think that the two are connected. The life around me is changing, disappearing before my own eyes. The connections to my past are fewer and fewer. 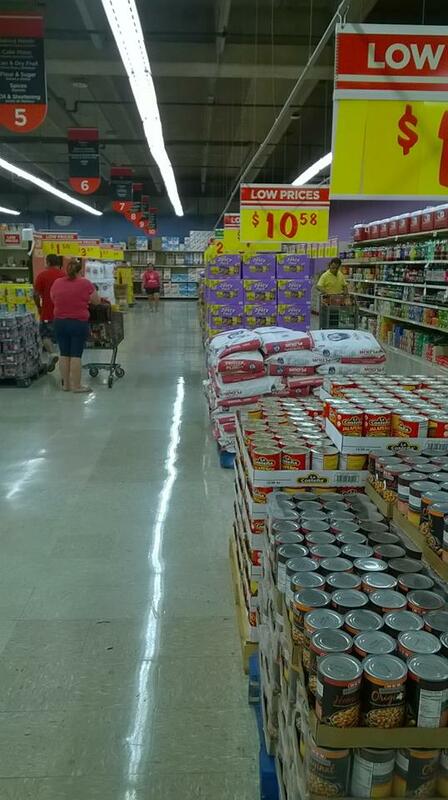 Most Laredoans won't give a second thought to the closing of the HEB on Sunday, because it'll be another mundane event. I want to visit the store one last time. The place will look like a shell of its former self. I'll say my own goodbye. And in the near future I'll just be able to stroll down the sidewalk of a place that once held something for me. 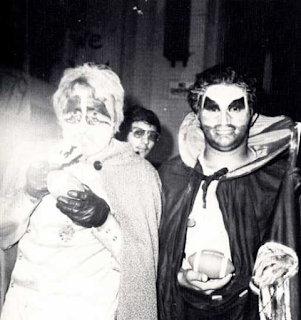 I found a couple of photos of Count Natas in the 1976 issue of La Pitahaya. 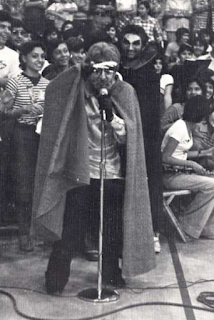 The Count looks like he entertained the masses at pep rallies when he wasn't on television. In a collaborative effort between the city government, the experts in the field of urban planning, and the citizens, a comprehensive plan is created to guide a city's growth. It is essentially a collective vision for what people want a city to become - whether that means having more parks or less traffic. The group hosted a town hall meeting at the south Laredo library on Tuesday. Their focus is to update our city's master plan, a feat that hasn't been done in more than twenty years. What they want from us is input. They want to know what we think is important for the city as Laredo grows over the next two decades. When I first heard about this, I thought: doesn't the city have its own planning department to actually plan a city? 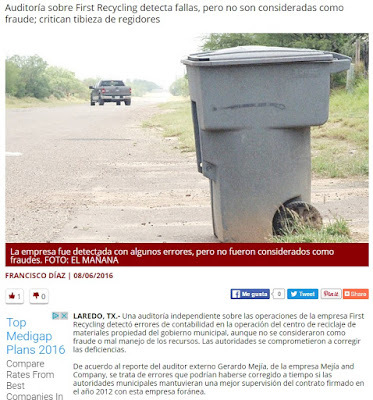 Why is the City of Laredo looking to people who receive city contracts architects to create a new master plan? I went to the meeting to get a better sense of it all. One of the first images a Viva Laredo team member presented to meeting attendees was that of the Riverwalk in San Antonio, TX. She explained how every detail in that setting is carefully planned and implemented. 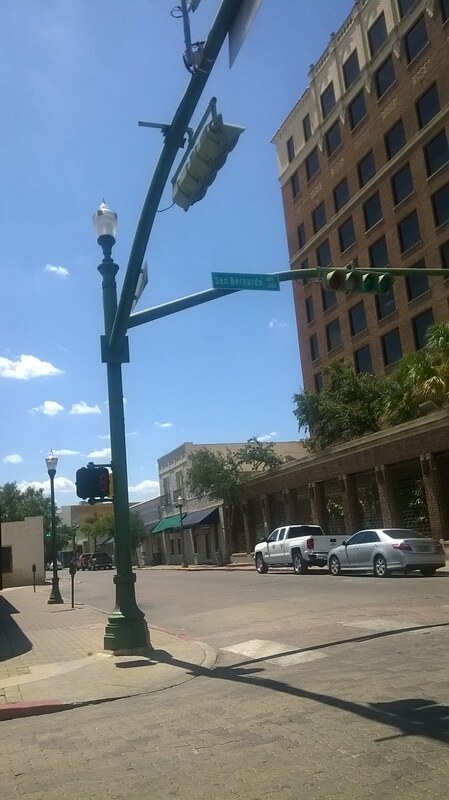 A street in downtown Austin was also featured in the slide show. (I should've timed how long it took them to mention these two cities.) 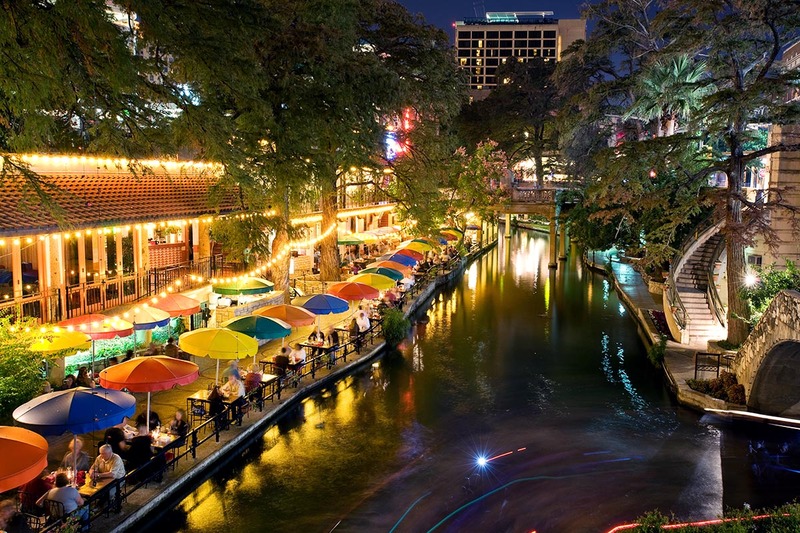 Whenever the subject of Laredo's revitalization comes up, the Riverwalk and 6th Street are mentioned. Apparently those two sites make up the extent of our traveling habits. I get why the speaker displayed the image shown above: destination hot spots don't develop by accident. But in trying to make a point with a picture-perfect setting, you remind us of how much we're missing and how long we have to go to reach our goal. Portland, OR was also discussed. A nice city, but polar opposite when compared with Laredo's climate and lax regulation of development. City leaders spoke briefly. Councilman Balli said downtown Laredo is going through a renaissance. (He just got back from Europe; that explains the word renaissance.) That's good in a way. 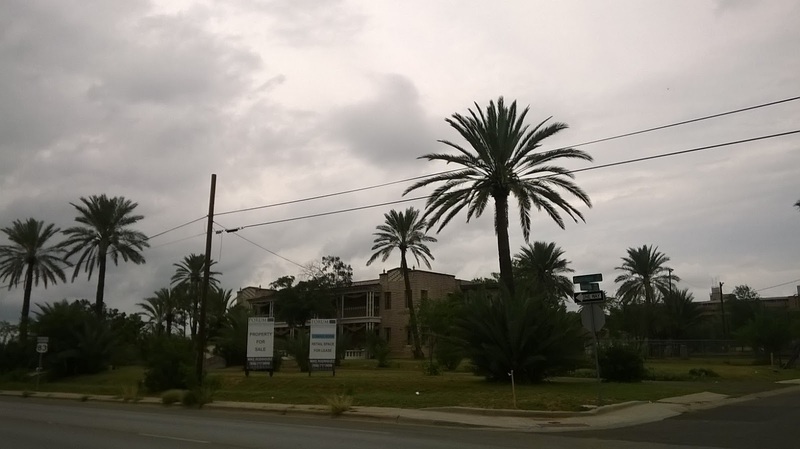 Downtown Laredo needs new life. I feel, however, that the most vulnerable in the area will be left behind. What use do they have for the swanky Siete Banderas restaurant, or the Michael Kors store that's set to open at the outlet mall? A Viva Laredo spokesperson uttered the words 'low hanging fruit,' as in identifying those projects that can be worked on ASAP. I take that phrase to mean projects that can be easily financed and contracts that can be handed out by the city in a swift fashion. If you ask Laredoans what's their idea of a perfect city, most will probably answer with the inevitable: a water park. That's natural because it would give people something to do. Nevermind that Laredo has swimming pools scattered throughout its city limits. Having tourist attractions is important for any city, but what about the less-romantic needs that should've been brought up at the meeting? My ideal would be living in a neighborhood that didn't have to endure the noise that trains make. They have loud horns that blare at night; but we also have lights with bells and guard rails that signal to us when a train is coming. I say NO to train horns!!! Accessibility to the downtown area by foot, bike, or car would be nice. Storm water management along the Chacon Creek is a big one. If the Rio Grande rises, water backs up into the Chacon, thus blocking the south Meadow Ave. bridge. That puts a damper on a major route for people that live in south Laredo. A new cemetery. Another landfill. (not CY's) A secondary water source. Better transit options. 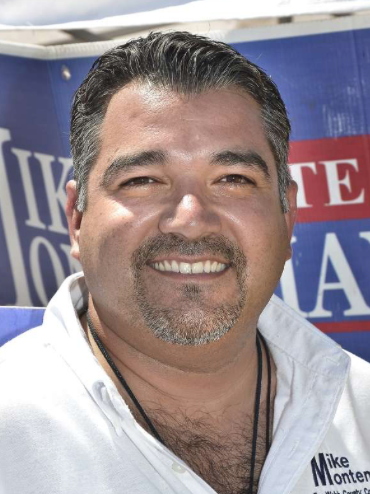 I think a distinction needs to be made between what Laredoans want and what we actually need. For most of us, getting around in a car is the norm; what do we care about walkability or public transit? We should actually care about those things because they're important for many reasons. The closing of many downtown stores - HEB being one of them soon - should guide our focus a bit. Let's work on a plan that will get more people to the old business district. Let's think of the low hanging fruit that we as citizens can put into action by ourselves. Let's identify the strengths this town has and build on those. We will never be Austin. And we shouldn't try to be. All I can offer is what I think can make life better for us as a community. I can tell you what I think doesn't work. I think Viva Laredo does want something better for this town. The conflict I see is that they stand to benefit from this and that will blur the lines of what Laredo needs to become. This house is on Guadalupe, right across from Christ The King Church. It's for sale. In the background you can see the abandoned Mercy Hospital. I'm documenting scenes like this, because these structures will some day disappear. Mr. Gerardo Mejia, a local accountant, gave city council a financial report of First Recycling (F.R. ), the company that's in charge of running the city's recycling facility. The audit was presented at Monday's meeting. 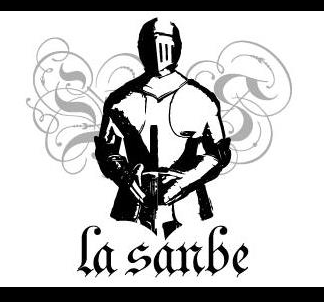 Local activist group Our Laredo had been hounding city hall about FR's finances since last year. Answers finally came, but questions still linger. Our Laredo feels that their concerns were proven right by the accounting firm. Mr. Mejia's report went on for about half an hour. There were a lot of numbers and tables. In between the tedious presentation there were questions by Councilman George Altgelt. He needed clarification on several points. At one point, Altgelt apologized to Mr. Mejia for asking another question, but quickly took it back, as he saw it fit for him to be asking questions about the audit. First Recycling started managing the recycling facility in 2012. The city chose them over three other companies. The city started a blue bin pilot program in the Heights neighborhood in the spring of 2012. By the following year, the entire public got a recycling bin. Before that we were all using blue plastic bags to recycle our stuff. First Recycling states that they tripled recycling intake in 2012, compared to the time that city staff managed the facility. That's a bold statement to make, considering that city trucks and staff were the ones picking up the materials throughout Laredo's barrios. 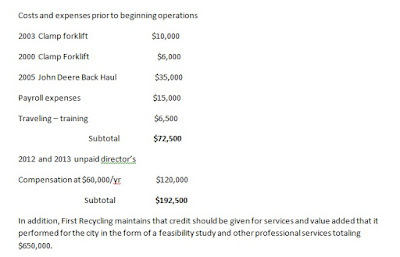 Anyway, one of the things that I found interesting in the report was the listing of purchases that First Recycling made, and was apparently requesting credit for. (See list above) Mr. Mejia went over those items in front of city council. Saul Villarreal of FR clarified that those purchases were merely to show what the company had invested in the lead up to its managing responsibilities. They didn't want credit for $192,500; they just wanted to show their commitment to the city. Okay. And I guess we're to believe that he and another director went without a salary for 2 years. 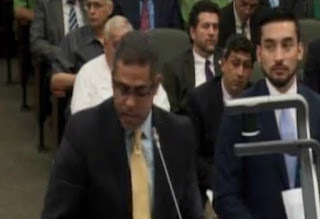 As soon as Mr. Villarreal went up to the podium to defend his work, he cited the losses the city had prior to First Recycling taking the reins at the recycling facility. He even took issue with a prior statement made by a city director which claimed that it was only when the city was in charge that a profit was made. Nobody on council jumped to defend the Solid Waste Director. Council members and Mayor Saenz didn't even ask about the incomplete records that were kept by city staff. Mr. Mejia explained that quarterly report information was missing. We requested all of these reports from the city and we got them all in a flash drive; And not all of the quarters were there. Irregularities were plenty and conflicting information was presented, but most of our leaders deferred to the city manager to figure it all out. It's amazing. Our garbage fees were increased so that the recycling facility could be established. They pour a ton of money into the facility and then give the contract to a company that was created out of thin air. Nobody, it seems, is minding the store, and city council is not impressed by all the inconsistencies. Even when the auditor mentioned that it wasn't clear who gets what cut in the 70/30 profit-sharing plan, nobody blinks an eye. 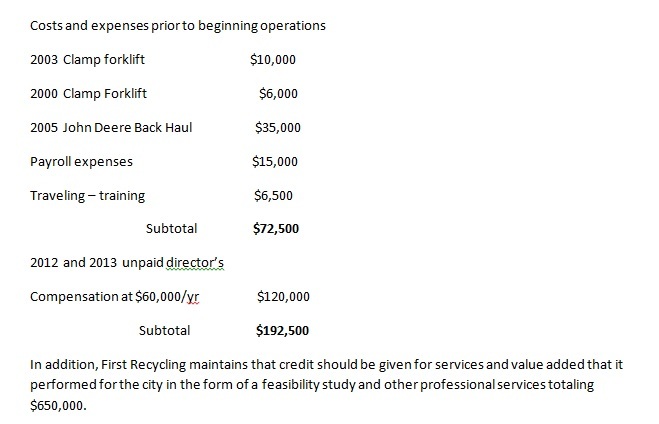 After the third year of managing the recycling center, FR was to keep 70 percent of the profits, and the city would get 30 percent. But Mr. Mejia saw it the other way around. Our Laredo has mentioned the lack of profit sharing up to now. But, as Mr. Mejia noted, the contract was amended after the original terms were put forth, so FR isn't really obligated to share 30 percent of its profit until now. The audit also found that FR kept five bank accounts for their business. There were input errors in the company's reports. Mejia noted that an amount of $4,400.00 was entered to account for sales, when it should've been $47,000.00. Employee agency expenses were duplicated in original reports in 2014. Red flag, after red flag, after red flag, and city council acted like it was no big deal. Mr. Saul Villarreal didn't contest any of these things. All he was prepared to do was to show how the city was worse off (according to him) when city staff ran the recycling facility. And city council was happy with that. It's said that we get the government we deserve. That's true. But when we all have a stake in how government is run, we deserve better on a daily basis, because we pay taxes, and not just because we may or may not vote. Again, I applaud the people of Our Laredo for keeping our leaders' feet to the fire. June 1, 2008 Man shot five times at 9 a.m. outside Cotulla-Style Pit BBQ Restaurant. June 1, 1960 Charles Manson extradited from Nvo Laredo, taken to Webb County Jail. June 1, 2010 Korn play LEA. June 1, 2015 City council approves oil/gas drilling near Green Ranch. June 2, 2016 LMT headline: Nixon HS Cheerleading Controversy: Girls will share captain title. June 2, 2017 Laredo police get into a shootout with Antonio Rodriguez in broad daylight at the corner of McPherson and Hillside. June 3, 1954 flood wipes out bridge 1. June 3 YouTube video of United H.S. 1965: The Protected School. June 4, 1709 Tomas Sanchez born. 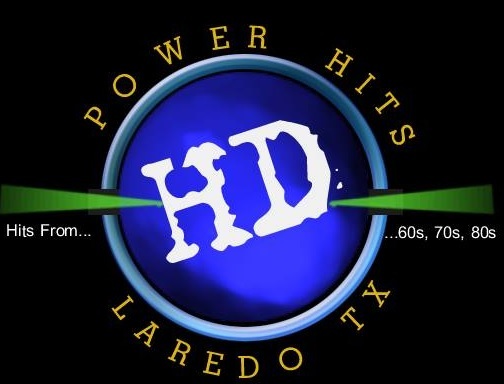 June 5, 2007 TCRP files federal suit on behalf of LareDOS. TxCivilRightsProject.org: LareDOS removed. June 6, 2017 8 year-old girl dies after being ejected from car on Loop & I-35. June 6, 2017 Holloway's Bakery closes. June 7, 2013 Roel Ramirez drafted by Tampa Bay Rays. June 9, 1947 Ft. McIntosh discontinued as Army post. Transferred to LJC. June 10, 2011 Town hall meeting at UT Health Science Center to discuss fracking. June 10, 2003 Eagles to play at Laredo Entertainment Center. Show canceled. June 10, 2016 Valero gas station opens on corner of Hwy 83 south and Cielito Lindo. June 11, 2015 Richard Raymond’s license plate logo “In God We Trust” bill signed by Governor Abbott. June 12, 2015 Alexander Bulldog baseball team plays as final four contender for state title. Loses to Arlington Martin. June 14, 1985 TWA Flight 847 hijacked after Athens takeoff. Laredoans on board. June 14, 2016 Viva Laredo holds town hall meeting to come up with city's master plan. June 15, 2015 Filming in downtown for “Journey” movie. June 16, 2015 Dunkin Donuts opens in north Laredo. June 17, 2007 Karen Reyes died after celebrating quinceanera. Family van swept away by water in Century City area. June 17, 2015 Three people died in head-on collision at north Hwy 83. June 17, 1960 Thomas Haden Church born. Attended United H.S. June 18, 2009 El Metro introduces its mascot Felix the Bus. June 18, 2016 Nixon HS student drowns at Lake Casa Blanca. June 19, 1998 President Clinton names Saul Ramirez Jr. as Deputy Secretary at the U.S. Department of Housing and Urban Development. June 19, 2012 Young boy shot at Holiday Inn (by mother’s boyfriend). June 19, 2017 Judge "Ben" Morales passed away. June 20, 2015 LMT: Former Mercy Hospital administrator Ernesto “Buddy” Flores passed away in Plano, TX. June 20, 2011 George Beckelhymer talks to council about Chihuahua home. June 21, 2013 City publicly announces ownership of old post office downtown. June 21, 2005 Betty Flores appears on Lou Dobbs. June 22, 2015 Auditor Leo Flores ejected from commissioners meeting after verbal outburst w John Galo. June 22, 2015 Traffic light being installed on Cuatro Vientos Rd. and Lomas del Sur. June 22, 2015 Peggy Dietrick, founder of Laredo Beauty College, celebrates 50 years of service with alumni present. June 23, 2017 Price of a Whataburger w cheese: $4.59. Glass Kitchen Big Burger w cheese: $4.17. June 24, 2013 Robert Jacaman Sr. sentenced for smuggling guns. 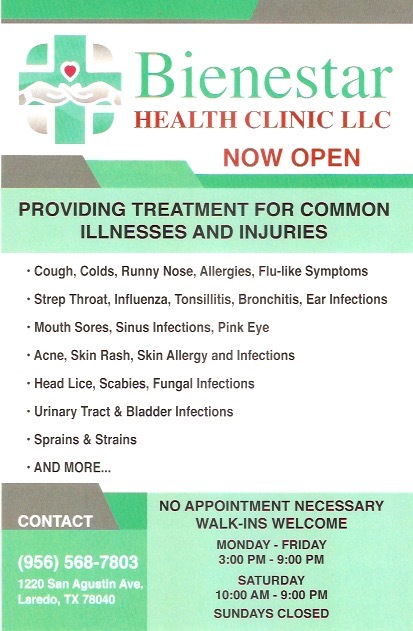 June 25, 2014 Dr. Eduardo Miranda sentenced to probation for fraud. June 25, 2010 City and Kell-Munoz firm unveil REDISCOVER LAREDO. June 26, 2015 First gay couple married in Webb Co. by Judge Joe Lopez. Gay marriage legal in all 50 states today (SCOTUS). 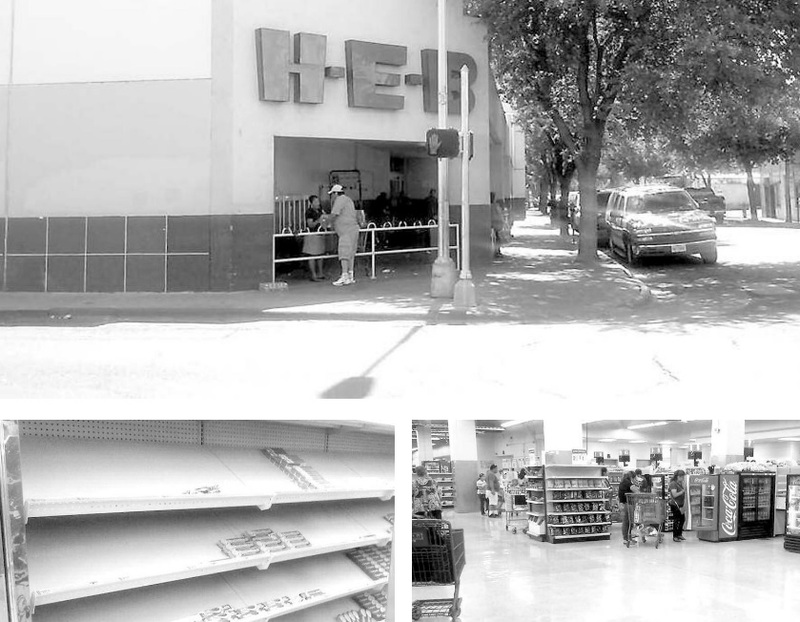 June 26, 2016 HEB store in downtown Laredo closes its doors. June 29, 1954 Flooding in Laredo and Nvo Laredo as a result of Hurricane Alice. 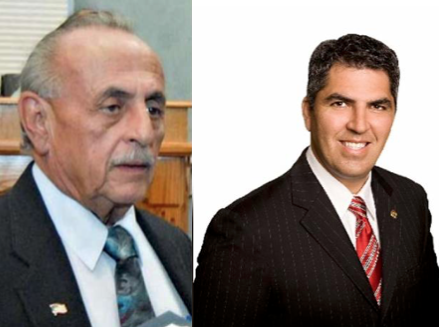 June 29, 2015 Judge Becky Palomo rules that Laredo bag ban does not violate state law. City wins and will enforce plastic bag ban. June 29, 2018 Toys'R Us store officially closed. Today was last day for stores around the nation.